A few of the arrow's buddies from Yo Gabba Gabba. 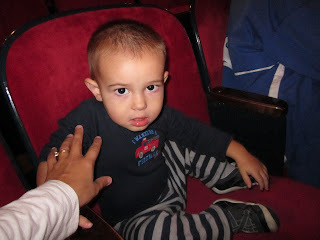 The arrow and I had a blast at the Yo Gabba Gabba live show a few weeks ago. It was fun to see my little guy in a completely new setting. We danced, we sang along, we clapped and delighted in everything together. A special night with lots of memories. Misleading photo. He spent the entire show on my lap. Not that I'm complaining, it meant lots of snuggling with mom! ﻿I also thought I'd share this somewhat funny, somewhat disturbing story from Mom 101, who also attended a live show recently. 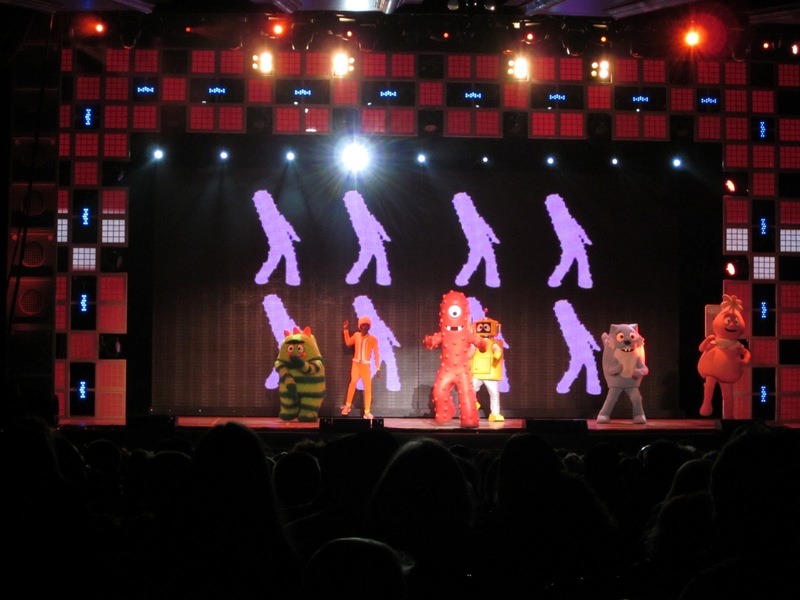 If you can't get enough Yo Gabba Gabba, check out this interesting interview with the show's creators. They claim they aren't on drugs. I'm still not convinced. Mostly, this is just an excuse to remind all of you to leave a comment (or two, three or four) at this post to enter to win a Yo Gabba Gabba CD. I'll be randomly selecting a winner on October 31, meaning you'll get the CD just in time to entertain your kids on a long car ride to grandma's for Thanksgiving.